The functional layer of pavement is regarded as an unstructured layer in the mechanics model of pavement. Its thickness is not calculated in the pavement structure. It plays a specific role in the pavement structure. For example, the seal coat can play the role of waterproof and stress absorption. The surface seal is used for the preventive maintenance, which can improve the surface service function of pavement. The buffer seal can reduce the vibration of pavement (Yao et al. in Composite material for highway engineering and its application, Hunan University Press, Changsha, 2015, ). The preventive maintenance of pavement is a planned cost-effective conservation strategy for existing road system without structural damage under the condition of functional deficiency. The preventive maintenance delays the damage to the pavement and maintains or improves the existing traffic condition on the road under the condition of not increasing the structural capacity of the pavement. The extensive repair and reconstruction are delayed by extending the service life of the existing pavement (Yao et al. 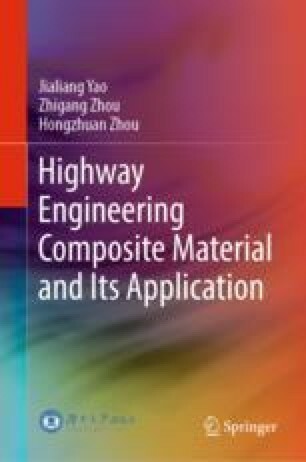 in Composite material for highway engineering and its application, Hunan University Press, Changsha, 2015, ). The functional layer materials and preventive maintenance materials of cement concrete pavement and asphalt concrete pavement are mainly introduced in this chapter.